After years of renting, you are, in a word, done. You are tired of putting your hard-earned money in your landlord’s pocket instead of building up equity in something that is yours. And you have had enough of increased rents, noisy upstairs neighbors, shag carpet and having to call the superintendent when the heater goes out — again. You may have already started to set aside money for a down payment. While this is definitely a good idea, take it to the next level and consider other financial factors that will impact your ability to buy. Get to know terms like “PITI,” which stands for principal, interest, taxes and insurance and be aware that in addition to your mortgage payment, which covers the “PI” in “PITI” you will also have to set aside money for property taxes and home insurance. Also, as you consider neighborhoods where you might want to buy, check to see if there are homeowners associations there, and if so, how much those fees are. By taking into account the true costs of owning a home, you will be a much smarter buyer and not as likely to try to take on a house payment that will be hard to afford. Throughout the home buying process, you will be asked to sign your name on the dotted line more times that you will remember. In addition, a bank or mortgage company will pull your line of credit with your social security number, and then there will be closing documents, titles to sign and loan agreements, all chock full of your personal data. Unfortunately, all of this paperwork and personal info flying around can put you at an increased risk of identity theft. Before you start the home shopping process, you may want to consider investing in a trusted service that can help safeguard your identity. They’ll keep a vigilant eye on your personal data 24/7 and alert you every time a bank runs a credit check on you, or if something more sinister is taking place with your identity. Then, if the worst happens and someone steals your name and social security number, they’ll get busy remedying the situation and restoring your good credit, while you concentrate on buying your new home. 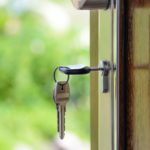 While you might have this vision of going around to scads of open houses and working with whatever realtor is on the property, The Balance suggests hiring a buyer’s agent to help you with the home buying process. Even if you are only halfway through your down payment saving process, you can still start searching for agents who can help you; ask trusted friends and family members who they used, read reviews online and reach out to him or her to discuss your home ownership goals. In addition, go to your bank and apply to be pre-approved for a loan; using your income and debts this will give you a clear idea of how much home you can afford. Then, when the big day comes and you are ready to look at homes that are for sale, your agent will show you listings based on your financial and other desired parameters and she may know about listings that are coming up soon that are not on the market yet.